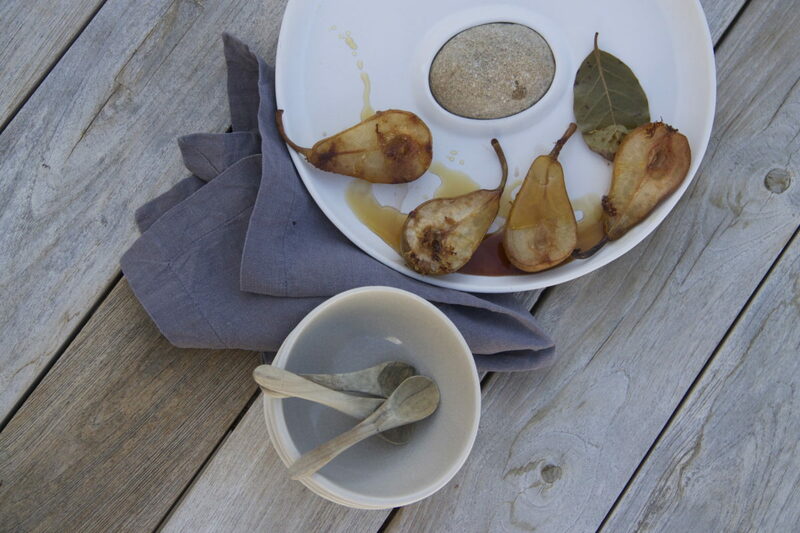 Honey adds layers of flavour and provides a more subtle degree of sweetness combined with the pears…. The bay leaves make all the difference…. 1.Preheat the oven to 190℃ (375℉). 2. For the pears: Cut the pears in half, lengthwise. 3. 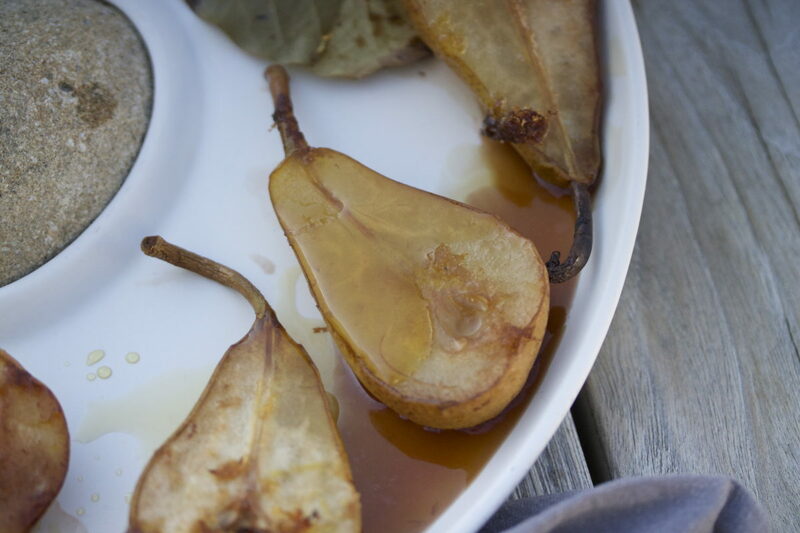 Place a single layer of pears – cut sides up – in a shallow, ovenproof dish. 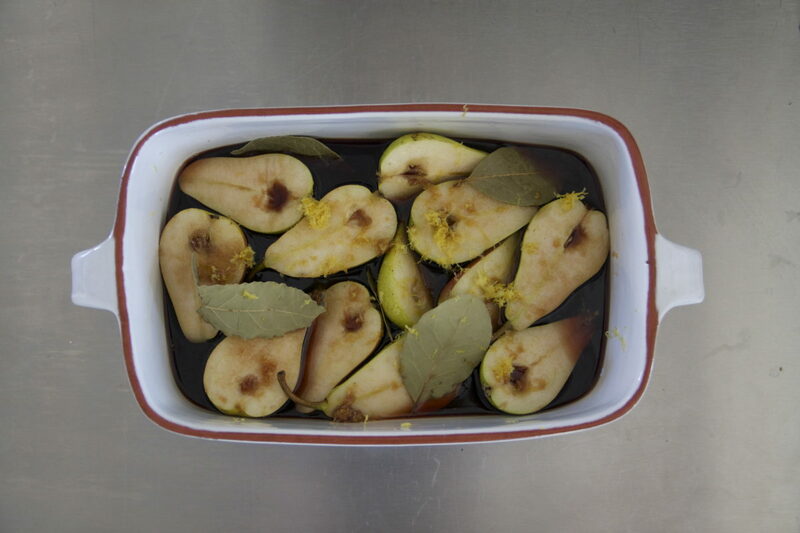 Note: The dish should hold the pears tightly to ensure that the brandy does not evaporate. 4. Tuck the lemon zest under and around the pears and scatter the bay leaves over the top. Pour over all the brandy, lemon juice and 100 ml of water. Sprinkle with 100 g of the sugar. 5. Bake for 40 to 45 minutes or until the pears start to wrinkle at their edges. 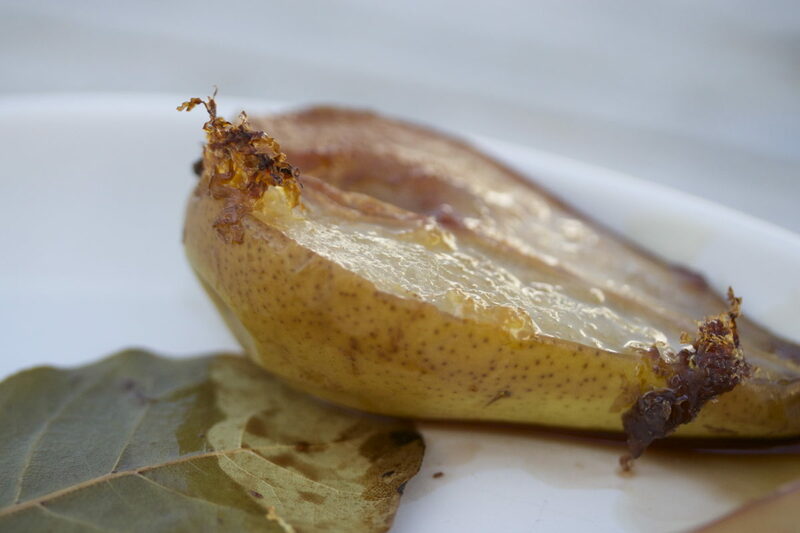 While cooking, spoon cooking juices over the top of the pears from time to time. Add the remaining 25 g of sugar towards the end of the cooking time. 6. 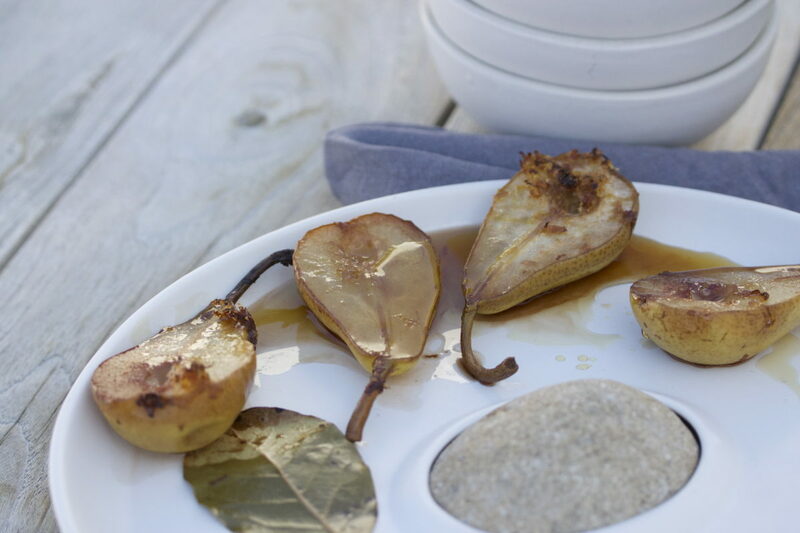 There should form a glossy-brown caramelised sauce around the pears. If, however, the sauce seems too thick, add a little more water. 7. Place the pears in a serving dish. Serve with either vanilla ice cream or creme fraîche to the side.